Have you ever felt like life has become blurry or even blinding? Sometimes things can happen in life that knock us right off our feet. The question is, how do we stay focused on what matters most in the midst of chaos? 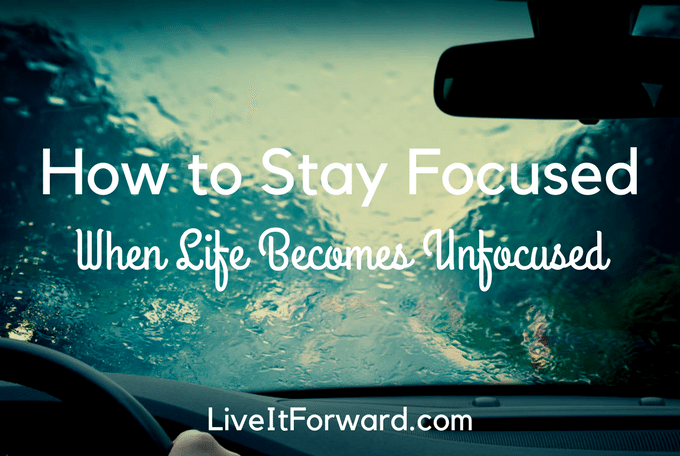 In episode 046 of The Live It Forward Show, Kent Julian shares four ideas you can start using now to help you stay focused when life becomes stormy.